The MT-10 was revealed at EICMA last year (2015) and struck the audience with its futuristic ‘robotic’ appearance. We now know that the MT-10 will receive 160hp and 111nm of torque available at 9000rpm thanks to the R1’s crossplane 4 cylinder being transplanted into the MT-10. The engineers have detuned the engine somewhat to make it a little more rideable in the urban jungle, however the power output ensures that the bike will be very capable indeed. Options which you may want to tick off include an Akrapovic exhaust, heated grips, a quickshifter and various touring accessories to make longer journeys a little more comfy. 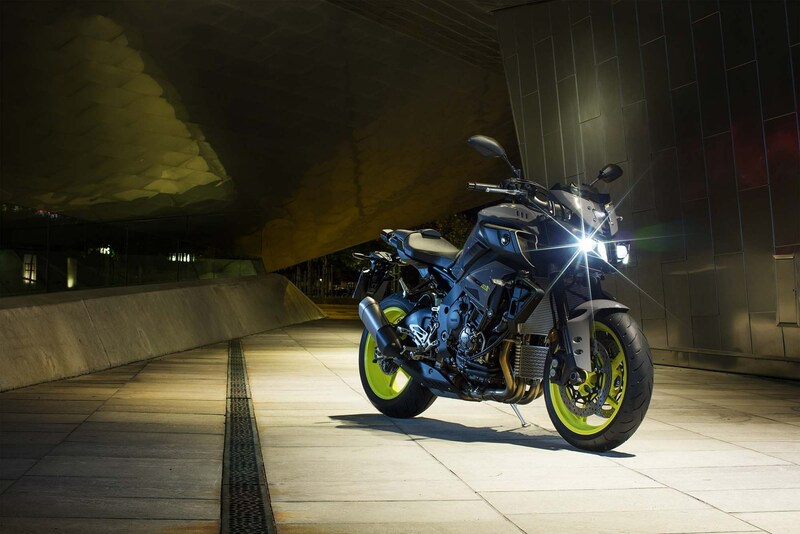 In addition to the MT-10 receiving the same engine as the current R1, you will also receive the same frame, swingarm, suspension, brakes and electronics package. All modified in favour of comfort rather than outright performance. We await pricing for the South African market.